Parent Teacher Conferences: Something’s Got to Give is the title of a post at Peter DeWitt’s blog in Ed Week. ….What if we asked Jeff to articulate and provide proof his own learning? 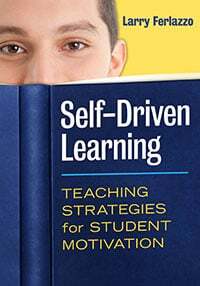 What if he prepared evidence of his learning to show himself, his teacher, and his parents what he had achieved through his own effort? What if we put him at the center of the conference and the learning? I’m adding this to The Best Resources On Parent/Teacher Conferences. Ten Conversation Starters for Parents is a good post from John Spencer. They include some good questions teachers can ask, too. What was the most interesting thing you learned in school today? As a dad, I want to hear my kids geek out about something cool they learned in school. It might be fractions or volcanoes or some random historical event. Talking about this helps me find informational texts that they might enjoy. It lets me know what they find fascinating that I might be missing at home. Plus, it sets the tone for the fact that learning is still a blast. How to Hold Effective Conferences With Families of ELs is a very useful post by Judie Haynes over at TESOL’s blog. Student-Led iConferences is a useful and very practical post by Monica Evon. By this time of year, parents have a clear understanding of how their child is doing academically as well as socially. Students need the opportunity to show their parents what they are have been learning in the classroom. Each child needs the opportunity to take a leadership role and teach his/her parent. My fourth graders prepared, organized and led the conference with their parents. Since my students are the experts, they were proud and excited to share their accomplishments. Our district has had student-led conferences for as long as I remember, but this was the first time I truly took the backseat. Q&A: The ‘Parent-Trigger’ Movement Turns Five, What’s Next? is an interview with Education Week reporter Karla Scoon Reid, who has written some recent articles on the parent trigger. It’s a quick-read and has some interesting points. How to Be an Effective Ally to Parents is from Edudemic, and offers some very good suggestions for how teachers can engage well with parents. I’m adding it to The Best Sources Of Parent Engagement Advice For Teachers. Why should we fear teachers visiting their students’ homes? is the headlined of Jay Mathews latest post at The Washington Post. Whitaker and the other D.C. home-visiting teachers are trained and paid with funds from the D.C. public schools and the Flamboyan Foundation. Using a model developed by educators in Sacramento, the teachers visit in pairs after school or on weekends. They don’t do surprise visits. They don’t make assumptions about kids or parents. They don’t take notes. They listen more than talk. He also happens to link to a piece I wrote critical of his take on home visits in a previous column. Student Led PTA Meeting is a post from Leading Motivated Learners. Overall, I would say it was the best PTA Meeting of the year because it was filled with great content and important information. The most awesome part of the experience, at least through my lens, was that the presenters at this PTA Meeting were our kids. How to cope when a student’s parent just doesn’t like you is by Angela Watson, and offers advice to teachers, all of whom are likely to face this situation at some point in their career. So, don’t let these situations surprise you or throw you off your game. For the most part, it’s normal. Now, if you seem to be getting more than your fair share of complaints every school year, then it’s time to take a look at that, and get a colleague you trust to give you some honest feedback about why relationships with parents have been so tough for you and how you can improve. This is especially important if you’re getting the same complaints from multiple parents across multiple years– that’s a sign that you may need to either change something you’re doing, or change the way you’re communicating it to other people so they have a better understanding up front of what you’re doing and why. For parents, a new way to view test scores is a pretty interesting post over at Ed Source. Letting Parents In On the Secret Of School is a good post by Peter DeWitt at Education Week. School leaders and teachers do their best to engage parents in the fun events or the ones that focus on report cards and grades like parent-teacher conferences. But we don’t always engage parents when it comes to those things that focus on learning. It’s a balance because we don’t want to always use educational language but we also don’t want to patronize them by using non-educational language either. The bottom line is that when we are initiating changes within our classrooms and schools we have to make sure we don’t leave parents out of the equation. We have partnered with the Nellie Mae Education Foundation to tell parents’ stories and to bring together key lessons to create a resource that will help guide important educational decisions facing parents today. Check out the article for details…. 3 Questions to Ask All Youth is a post from Marvin Marshall that shares three good questions parents can ask their children. They’re not bad ones for teachers, either. A Few Words For Parents offers some good advice to parents about their children reading. It’s from the blog Catching Readers Before They Fall. It is great to encourage a child to read more, but reading should be its own reward. When we offer kids pizza or stickers for reading a certain number of books, we are actually sending a message that reading is something unpleasant so we have to resort to prizes to get them to read. Also, when kids are counting the number of books they read in a race for a prize, they often sacrifice quality for quantity. If you are a teacher reading this post, feel free to duplicate it to use in one of your parent newsletters or to give out at parent conference time. Spanish Speakers Request Interpreters for Special Education Meetings us the headline of a blog post over at Education Week. A group of Spanish-speaking parents in Ohio filed a complaint with the U.S. Justice Department this week, saying that their children’s school districts are discriminating against them by not providing interpreters and translated documents during special education meetings. Connecting Parents With Common Core Through Remind & Twitter is a useful post at Education Week. How often does this conversation happen for parents? “How was school today, what did you do?” We all know the response – “nothing, not sure, can’t remember, don’t know” etc. At John Swett Elementary (@jseroadrunners), we’ve torn down the classroom walls and are connecting parents with school life and Common Core implementation on a daily, even hourly basis! Remind and Twitter have profoundly changed our communication flow from what’s happening in the classroom to directly connecting with parents, via their phone. 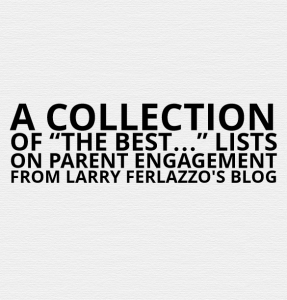 I’m adding it to A Beginning List Of The Best Resources On Using Technology To Help Engage Parents. I’m adding it to The Best Student Projects That Need Family Engagement — Contribute Your Lessons!